CAPS Certified Custom Builder Brings Accessibility & Style to Homes in Wilmington and Charlotte, NC. 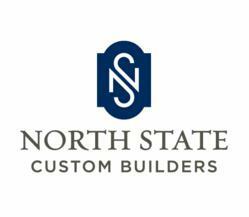 North State Custom Builders launches new website with focus on accessibility in custom home building. We're proud to transparently build accessibility into our homes without sacrificing style. North State Custom Builders, a premiere custom home builder in Wilmington and Charlotte, North Carolina announces their new website which showcases their design-build accessibility solutions. One of North Carolina’s few Certified Aging-In-Place Specialists, North State provides custom home building and remodeling that seamlessly integrates with their accessibility solutions. “More and more home buyers are thinking about their future. They want a home that fits their lifestyle for today and tomorrow,” explains Whit Honeycutt, North State’s President. “We're proud to transparently build accessibility into our homes without sacrificing style. And, many are realizing that home accessibility features increase the homes resale value considerably,” adds Honeycutt. The Certified Aging-In-Place Specialist, or “CAPS” program was developed by the National Association of Home Builders in response to the AARP study “Fixing to Stay,” which found that Americans prefer to stay in their homes as they age, as opposed to using assisted living. In addition, the study found consumers sought a way in which they could identify trusted building professionals to remodel or build their homes. The CAPS program certifies builders on their ability to assess, design and build accessible homes for independent living regardless of age and helps consumers connect with these professionals. North State Custom Builders maintains both CAPS1 and CAPS2 certifications. While accessible building differentiates North State’s offerings, their core business lies in their unique custom homes which are built in some of Wilmington and Charlotte’s most sought after communities including Landfall, Autumn Hall, Parkside at Mayfaire, Wrightsville Beach and Shadow Creek. North State won the Parade of Homes for one of their houses in Parkside at Mayfaire and expects to add new entries in the Parade of Homes this year. As the preeminent builder team for Autumn Hall, North State offers the “Autumn Hall Collection,” a distinctive set of custom homes that maintain a unique level of craftsmanship that honors the rich heritage of the Coastal Carolinas while preserving the scenic beauty of the natural landscape. North State Custom Builders is an award-winning, custom home builder that provides the highest quality custom homes in a stress-free and enjoyable process. North State’s homes can be found in the finest neighborhoods in Charlotte, Wilmington, and Wrightsville Beach, North Carolina including Autumn Hall, Landfall, Shadow Creek, and Parkside at Mayfaire. Their relentless pursuit of customization, unsurpassed structural integrity, supply chain management process and CAPS certification are a few of the factors that differentiate North State Custom Builders. Call Whit Honeycutt at 910-200-9174 or visit http://www.NorthStateCustomBuilders.com to learn more.